Michael Salkind is a former executive with United Technologies, NASA, The Air Force, and the Ohio Aerospace Institute. He founded BusinessTech Network to help businesses harness knowledge and technology for competitive advantage and to secure funding. Dr Salkind brings over 40 years of experience in developing and facilitating collaborative teams, managing technology, funding R&D, research and teaching. In his 13 years as President of the Ohio Aerospace Institute (OAI), he developed and managed nearly $200 million (primarily federal and private funding) in collaborative R&D, education and workforce teams among businesses, universities, and federal agencies. In the 1980s, he headed a national task force to promote industry-university-government collaboration. In 2000, he organized and hosted a successful major national conference in Knowledge Management. In 1998, at the request of the Ohio Department of Education, he created the 30 Public School District SMART Consortium which has demonstrated significant improvement in student learning. In 2001, he helped found the India-USA Foundation for Industrial Technology Collaboration. At OAI, he managed over 100 collaborative programs with more than 300 companies, universities and government agencies in aerospace, materials, structures, fluid mechanics, propulsion and energy, information, manufacturing, bioengineering, and automotive technologies. These programs have resulted in improved productivity, reduced development times, and enhanced healthcare valued at several billions of dollars per year. As a manager for the Air Force and NASA, he managed several hundred engineering programs in industry, federal laboratories, and universities. His entire career has involved either obtaining or providing R&D funding. 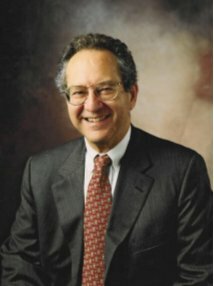 During his 26 years at United Technologies and OAI, he successfully obtained more than $200 million in contracts and grants from the Departments of Defense (and Air Force, Army, and Navy), Commerce, Energy, National Science Foundation, NASA, NIH, as well as private foundations and state agencies. During his 15 years with the Air Force, NASA, and the Army, he funded more than $500 million to industry, universities, and federal laboratories, and developed strong collegial relationships with the other federal funding agencies. He is the author of 47 technical articles and one book, APPLICATIONS OF COMPOSITE MATERIALS. He has been an Adjunct Professor at The Johns Hopkins University, University of Maryland, and Trinity College, a Distinguished Lecturer for Sigma Xi and ASME, and received the Cleveland Technical Societies Council Leadership Award in 2002.